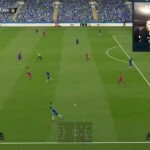 This competition is open to any standard of FIFA player. The competition is only open to UK users. You must have an Xbox One and a valid Xbox Live subscription to compete. Request a free invite to play in the Squawka Cup by entering your email in the box on their Registration page. 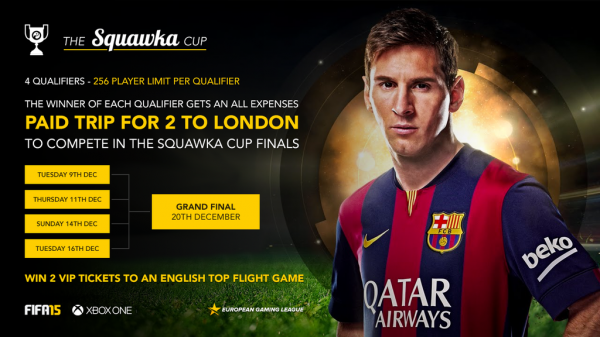 Squawka & EGL will conduct a random draw and send you an invite to the qualifiers for the Squawka Cup! Fill in the remaining fields on the Official EGL site to confirm participation in the tournament. 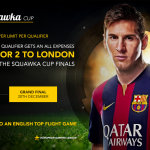 Win your Online Qualifier and be entered into the Squawka Cup Grand Final. Good luck to everyone who enters and please click image below to Tweet and Share this news with your FIFA friends so as many people can enter as possible.